As we got deeper into the area, the crowds got a little heavier. I have been in crowds before. New York City is one of my favorite places. Generally, when I am on a crowded city sidewalk, I get into a half-meditative state where I am part of everyone I see, part of it all. I enjoy the hustle and bustle. But this time, it was different. People were talking, but it was louder than usual. As we walked, I began picking up on it. Nancy and I got to an area that is sort of a downtown mall. It used to have a Sharper Image store and a couple of other places I love to browse through. Inside the mall, the kids were talking even louder to each other. Nobody was really acting in a threatening way, but their laughter got louder and their voices got louder. My self-defense radar went off. I turned to Nancy, took her by the hand and said, "Let's go this way." I guided her out of the mall and back up the sidewalk, past more loudly-talking teens. "My self-defense radar went off," I explained. "I'm heading back toward the hotel." When I look back on it, I am impressed with Nancy's reaction. When I told her that my self-defense radar went off, and we were heading back, she didn't argue. She trusted me. "Okay," she said firmly. "Let's go." The crowd thinned out as we walked up the sidewalk away from the shops. We found a different place to eat and we stopped at the bar in our hotel for a drink. "I'm not sure what it was," I said. "I just got a bad vibe." By the time we got to our room, we relaxed, got ready for bed, and I turned on the 10:00 news. The lead story was a riot on the Magnificent Mile. Teenagers began attacking people right in the area where Nancy and I had been walking. Apparently, the kids just began tearing through the sidewalks and inside the mall, hitting people at random. The violent riot was organized through social media, with posts and tweets urging young people to meet on the Magnificent Mile to attack people around six o'clock that evening. Police were called, people were arrested. Here is one of the news stories. As I watched the news, I couldn't believe it. The attacks began within minutes of when my self-defense radar went off. If we had been there, and kids had run towards us to hit us, there would have been a fight. And that could have resulted in me trying to take on a group of young guys. I felt very lucky. But what was it that made me feel the threat when nobody was behaving in a threatening way? That is a long way to get to my point, I know, but when I first did Zhan Zhuang with Chen Xiaowang, and he had us standing with our arms out as if hugging a tree, he adjusted our stances, had us sink and close our eyes. "Calm down," he said. "Listen behind you." And finally, you are supposed to be aware of everything around you. "Listen behind you," is Chen Xiaowang's way of telling you that even when you meditate, you should remain aware of everything, even the sounds behind you. In the very first episode of the "Kung-Fu" TV show, the blind Master Po is explaining to young Caine why he should not pity the master for being blind. "Close your eyes," Master Po tells young Caine. "What do you hear?" "I hear the water," Caine replies. "I hear the birds." "Do you hear your own heart beat?" "Do you hear the grasshopper which is at your feet?" Young Caine looks down to see a grasshopper. "Old man," he says, "how is it that you hear these things?" "Young man," Master Po replies. "How is it that you do not?" That is how Caine earned the name "Grasshopper." I saw that show when it first aired on TV in February, 1972. This was a year and a half before I took my first martial arts lesson, but the message haunted me. By the time I met Chen Xiaowang, and he said, "Listen behind you," I knew exactly what he meant. The internal arts should train you in ways that carry over into your daily life. One of the things it should teach you is awareness. You should not be aware of your surroundings in a paranoid way. I did not walk downtown with Nancy that day thinking that we were going to have trouble. 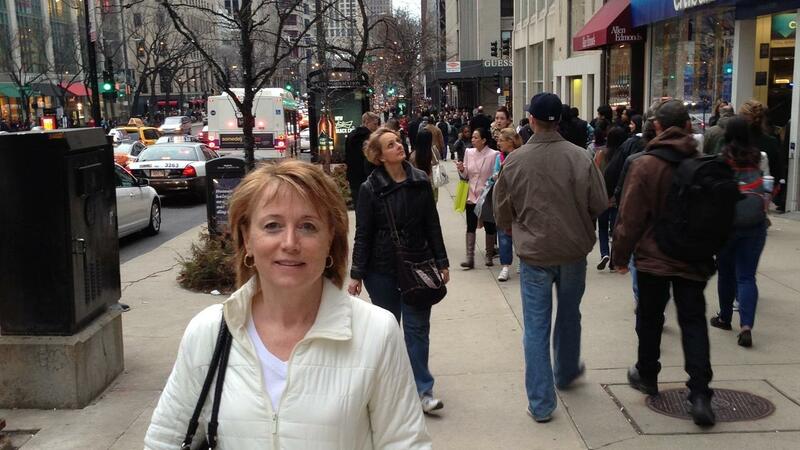 I have been to Chicago many times, and have never encountered any trouble at all on the Magnificent Mile. It is only when you remain aware at all times can you recognize hints of danger when they appear. You need to be "in the moment." Mindful. Not lost in thought or listening to music or texting. 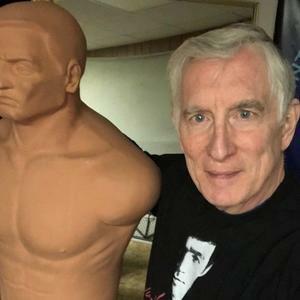 In my opinion, the ultimate self-defense skill is to not be there when violence occurs. Don't put yourself into a dangerous situation. I see people walking around with their heads down, their eyes on their phones and their thumbs busy typing. Many times it's a woman or a teenage girl walking through a parking lot or down a sidewalk, oblivious to what is around them. I shake my head and wonder if they know what they are missing by being disengaged. Everywhere I go, I know who and what is around me at all times. Even standing in line at a grocery store, I am aware of everything and everyone in all directions. When you practice, please set aside at least five or ten minutes to do standing practice, whether you do Zhan Zhuang or meditate in the San Ti posture or the Dragon stance. Relax, calm the mind, calm the body, center yourself, and "listen behind you." None of these skills are easy to cultivate, but you can do it, and when you do, you can take the skills with you everywhere you go.